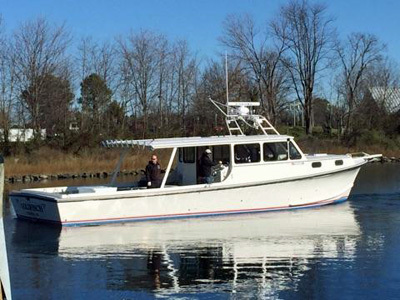 The Goldfisch is a 46 foot custom Markley / Meekins Deadrise. 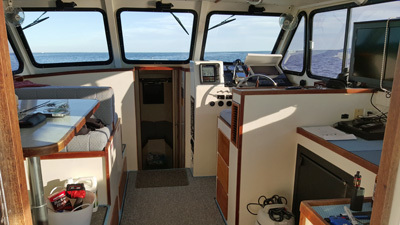 It's equiped with a 450 Cummins Diamond series diesel, which puts her at a comfortable 17kts cruise. 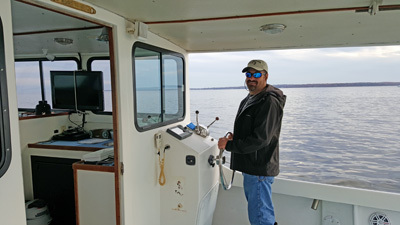 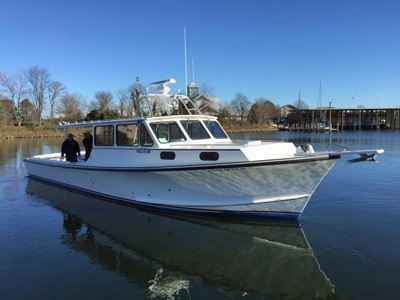 Its equipment includes full Furuno electronics, 128 mile 6kw radar on a 15" monitor, 587 fishfinder, 7kw generator with heat and air conditioning, and a microwave in a spacious cabin which seats 6 anglers and a full size Electro Scan head. 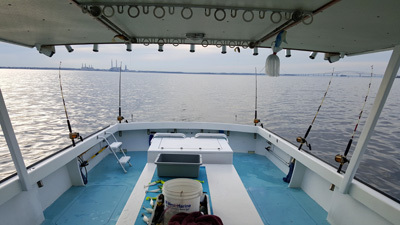 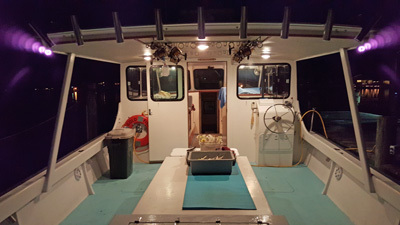 She has a large cockpit with a custom livewell and plenty of room to fish.